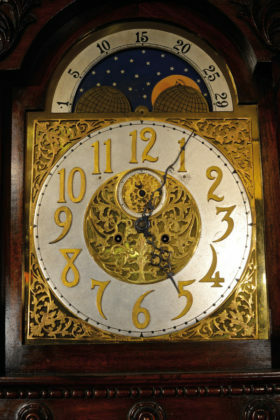 American Waterbury hall clock, model J77. 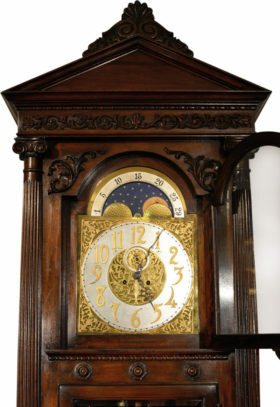 This elegant clock is made of Honduras mahogany, with a beautiful brass dial which features the moon phase. This clock houses an 8 day, 2 weight movement striking on a single tubular bell.